This is a list of my current and incoming girls. Lati Yellow Coco from the Aladdin release. 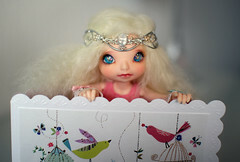 Lati Yellow Lumi/Rumi from the Bat Children release. Lati Yellow Noa from the Bat Children release. Lati Yellow Noa centaur from the Olympos release. Formerly Momocolor Momo29 Lucy (tan).